Memories of the days when vegetarianism was the new, hot, hip thing are quickly fading. But one enduring image is of the thick, earth-toned, handwritten, and hand illustrated Moosewood Cookbook that all my cooking-focused friends were buying in the mid-1970’s. Based on recipes from the Moosewood Restaruant and published first in 1974, it was responsible for most of the bowls of vegetarian chili that everyone seemed to serve before heading off to find inner peace at the coffee shop listening to beads-and-Birkenstock-bedecked Dylan wannabes. For most college students and young people back in the day it was their first cookbook, proving that you could have flavor without meat and bringing an international flair to vegetarian cooking. I haven’t thought about the Moosewood in several decades but stumbled upon the restaurant while exploring Ithaca N.Y. this weekend. It still exists, and still serves excellent vegetarian and pescatarian food, updated to reflect current trends. My salmon with North African chermoula sauce was full of flavor and thankfully accompanied by Israeli couscous instead of brown rice.Their take on shrimp and grits with a mango-habanero BBQ sauce was stunning. Tofu was available only as a side dish; perhaps there is moral progress in this world. Still run by a collective, some members of which have been there since it opened in 1973, they continue to serve simple, flavorful food while fully embracing the farm-to-table ethos. 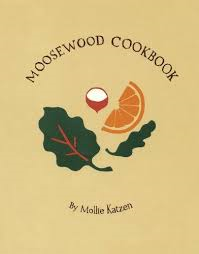 The original author of the cookbooks, Molly Katzen, and the Moosewood Collective have parted ways after disputes over copyright, and I have no idea if the newest editions are worthy of their iconic status. But for vegetarians seeking a pilgrimage, there is none more worthy than the Moosewood for its history as well as its current commitment to quality. There are many good reasons for reducing our consumption of meat. The most important reasons have to do with the impact of meat eating on the environment and climate change. But as I’ve argued often on this blog and elsewhere, the moral arguments for vegetarianism based on animal suffering are weak. Although we should strive to reduce animal suffering as best we can, we have no general moral obligation to refrain from killing animals for food. How can you compare Hammy the hamster playing on his wheel and Miles Davis playing his trumpet? Jeremy Bentham tended towards the view that all pains and pleasures are on a par, but the idea that all creatures with the capacity to suffer deserve equal moral consideration is implausible to say the least. That animals can suffer is a reason to give them moral consideration, but that does not tell us what kind and how much of that consideration is required. “No ambitions are thwarted when a sheep is killed, no dreams lie unfulfilled….The animal would have had no life at all were it not brought into the world to eat. 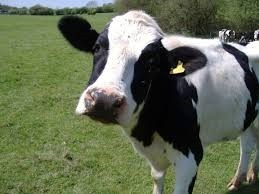 Dairy cows are not kidnapped from wild pastures. There is no happier, longer life such a beast would otherwise have had. No matter what we do, causing harm is unavoidable. It’s worth reading the whole article. I respect people who for moral reasons decline to eat meat. But many vegetarians assume that eating vegetables produces no animal pain or death and that is clearly false. 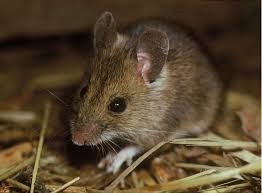 Farming of any sort disrupts ecosystems and destroys animal life. At best, the moral argument for vegetarianism is that eating only vegetables produces less pain or cruelty than the consumption of animals. But there is evidence that calls even that argument into question. Most of Australia’s rangeland cannot be used for crop production and thus arable land must come at the expense of forests. I have no idea if this applies to the U.S. Furthermore, the calculations are based on “usable protein” which is only one part of our nutritional needs. But the general point is that there is no form of human consumption that does not harm animals, and which diet will minimize suffering is far from clear. Surely for most individuals it is impossible to know, in a particular case, if eating only vegetables and fruit would minimize pain. There are many reasons to avoid meat in one’s diet but the facile suggestion that vegetarianism is inherently more virtuous than the consumption of meat looks rather shaky if this evidence is sound. Epicurious posted an interview with futurist Christopher Barnatt, the author of the book 25 Things You Need to Know about the Future. Here is a summary of his predictions. Food will be scarce and expensive due to climate change and the limited supply of water and oil. Most of the food we consume will be locally grown. Indoor vertical farms in urban areas will become the norm. We will eat less meat because it is too resource intensive to produce and less fish because of overfishing. Long term predictions are of course dicey. But all of this sounds plausible given the way we have squandered resources. But human beings are good at adapting. I suspect that to be a gourmand in the future one will have to be either very rich or quite good at vertical farming in your home. In any case, don’t throw out your vegetarian cookbooks.